I was building a basic line of furnaces when the hoppers had to be moved. 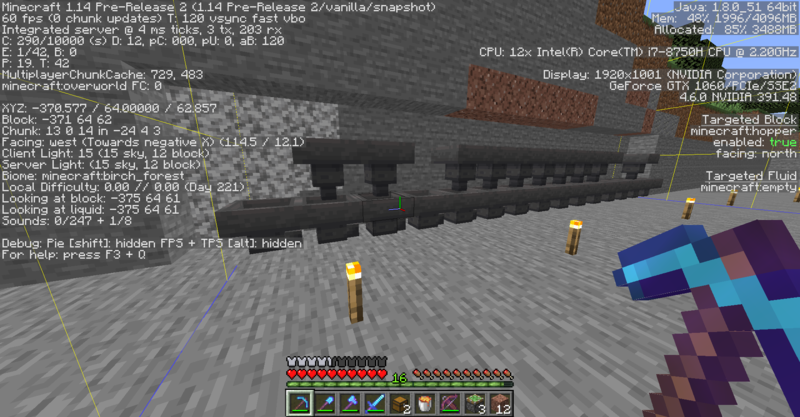 Halfway down the line, every hopper I broke in Chunk -24, 4, 3 (specifically at y = 65) crashed the game. I can break furnaces and chests just fine, and the hoppers work like normal. I just can't break them. EDIT: I removed the tile entity data for each hopper and they could then be broken.